Losing weight permanently means changing your life style. This is no easy task. Food is every where. Not only do we need it to survive, but we celebrate life with food (or Mimosas 😉 ). We use food to assuage are feelings of guilt, grief, stress, happiness, boredom, and all other range of emotions. On top of that, sweets and carbs hit the pleasure center in our brains, so we crave the very stuff we aren’t "supposed" to have. You are undergoing a very daunting task indeed. This is why willpower is not the best tool on which to depend. Not to worry. You can do this. How? Read on. Think back to when you learned to drive a car. The whole process takes years. You are probably thinking, "No, not years, maybe a year," but you were thinking about driving long before you got into the driver's seat. Around 5-8 you just got in the car and went. You didn’t think about how you got there. Your parents drove you. You were in the unconsciously unskilled phase. Around age 10-12, the realization occurred to you that one day you would be the driver. I remember watching my parents drive, and thinking how do they watch for other cars, remember where they are going, keep the car in their lane?? I’ll never be able to do that. This is the consciously unskilled stage. Fifteen or Sixteen, a decision was made to take Drivers Ed, and practice your driving skills. You were moving into consciously skilled phase. You were acutely aware that you had no idea what you were doing. You checked your mirrors, made sure the seat was in the right position, remembered the blinker, eyes on the road, etc, talking yourself through each step. Now look at you. You get in the car and go without thinking about it because you are now unconsciously skilled. Changing your life to a more healthier lifestyle requires acquiring new skills, behaviors, and habits, just like driving. Except in the case of "dieting", we tend to want instant results, and we beat ourselves up when we don’t achieve them. Bet you didn't do that when you learned to drive. You didn't’ get in the car day one and say, "Today I am going to learn to start the car, shift gears, do a three point turn, parallel park, become an expert driver both on the freeway and in a crowded city, and if I have time, I might as well learn to drive a bus. That is crazy. So, why do we expect to change the way we eat so quickly? Change happens step by step, acquiring new skills and practicing those skills over time. Once you have these skills, they are yours forever. You can’t unlearn it any more than you can unlearn to drive, and you can continue to build on your success. 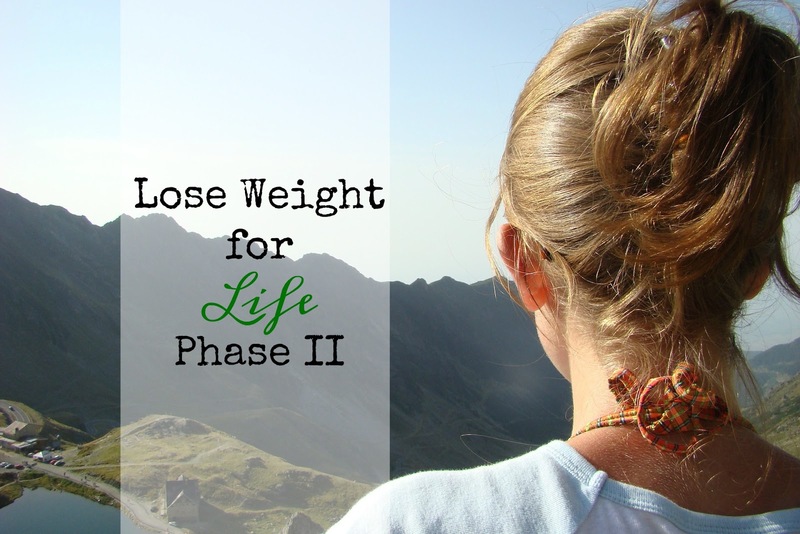 In order to attain our goal of living a healthy life style, so that we can lose weight, we are going to start with some basics (just not all this week). We are firmly entrenched in the consciously unskilled phase, and we will be hanging out for a while in the practice, courage, and mistake area, so let's ease into this shall we? We are not taking away a single thing. We are adding stuff. 1. This week aim to have 5 - 7 servings of fruit or veggies a day. Here is the deal. You can eat whatever you want, if you eat your fruits and veggies first. If you are getting a cheeseburger and you want fries - order the fries. Yes, you heard me. Order the fries, but….. also order a salad, and eat that first. Have a salad before your biggest meal (mine was usually lunch). I don’t even care how much ranch dressing you throw on that salad. Have an apple before dinner. Cut up some veggies or fruit, and keep them in a container, and ready to go in your fridge. Carrots, celery, red pepper sticks and hummus are great before dinner snacks. Throw peas or broccoli in with your mac and cheese. Add diced red pepper to your tuna salad. For awesome spaghetti sauce, throw mushrooms, rep pepper, carrots, onions, garlic, and spinach into a food processor, grind it all up then sauté that mixture to get the excess water out. Throw the sauce on top of that. Let that simmer for about 15 minutes. You have just doubled your veggie intake for this meal. My kids love it and are not aware that there are mushrooms and spinach in there. Two things that they hate. Toss cauliflower, broccoli, green beans, potatoes, red peppers, eggplant, whatever with some olive oil, salt and pepper and roast it in the oven (I do about 425) until done. Throw that in with some meals, on a salad, or eat by themselves. Just make sure your veggies are about the same size or they won’t cook evenly. Are you hungry? If not what are you feeling? (Remember, we are not judging whether it is "good" or "bad" to eat when we are not hungry. That's it. Next week we will take a look at those logs you have been keeping. We will talk about some tools to help you take what you have observed about your eating habits, and turn it into action steps individualized to you, your goals, and your life. In the meantime, let me know how you are doing, and what you are struggling with, and we will work those things into the conversation as well. Have a great week! PS If you don't want to miss a post, make sure you sign up to receive our emails letting you know when we post.